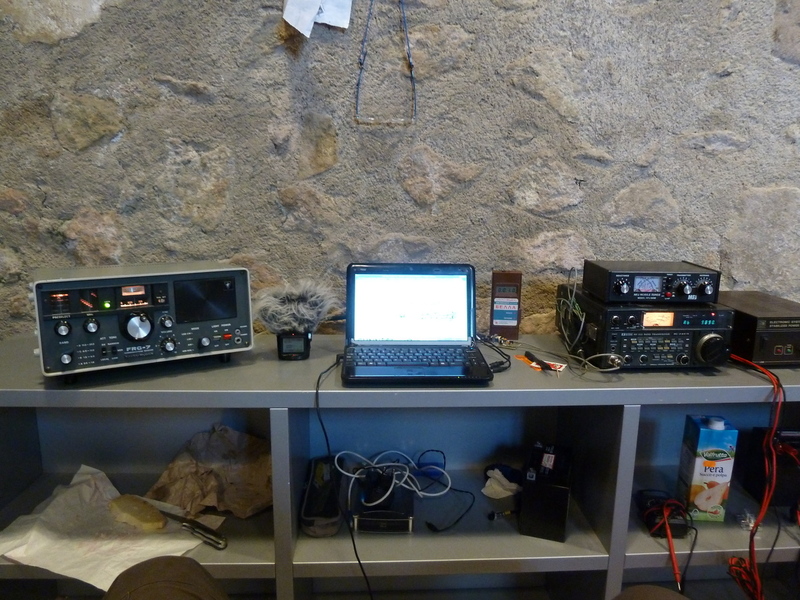 Gabriele “Asbesto” Zaverio and Aldo Cesar Faga’ installed a short wave radio station in the castle, for listening the 0-30 MHz band and to try occasional transmission with radio amateurs in the world (Asbesto is actually a radio amateur, with callname IW9HGS). 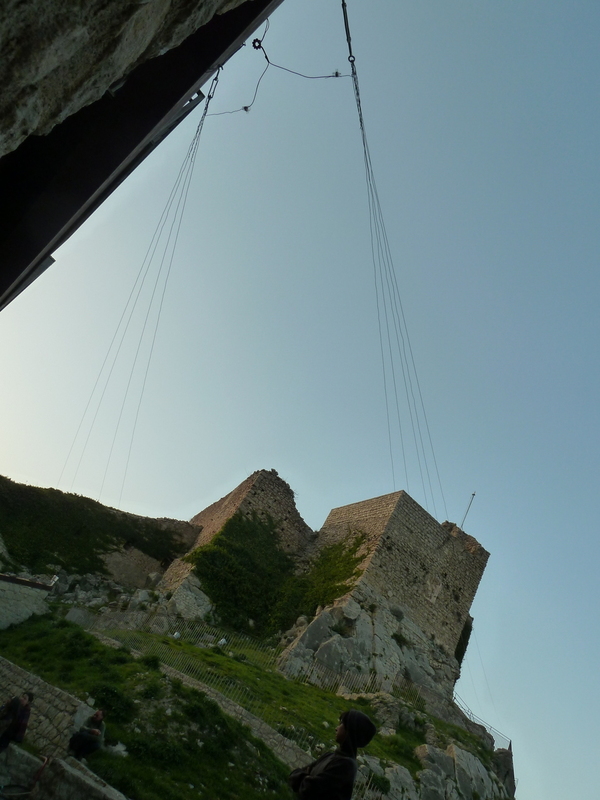 “…the antenna we made is not a traditional shortwave radio amateur dipole antenna; we choosed to shape it differently, using the castle terrain, posing it in an horizontal plane. 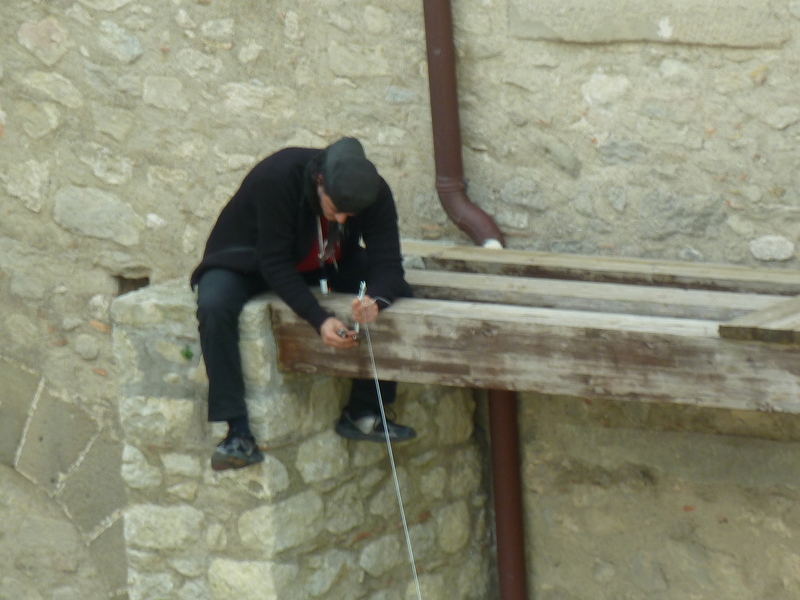 Our antenna have 5 long wires for the positive of the dipole, and 4 for the negative one, so in total we have 9 wires crossing the main castle court. A 1:1 Balun (a balance unit made by a ferrite core and some wiring) is used to adapt the antenna impedance to 50 ohm required by our radio equipment (ICOM IC-720A rtx, YAESU FRG-7 Communication Receiver, and MFJ-945E mobile tuner). So the antenna now is able to receive can i take ativan with benadryl also signal directly from the space, as a sort of radio astronomic observatory; we know that many things can affect the reception of signals (for example, Jovian emissions), but this is exactly what we are looking for. Putting cables on site was a challenge, due to strong winds that affected all the work, complicating everything and, literally, freezing us! Despite our weird choices, antenna seem surprisingly good both at receiving and transmitting on various frequencies. Due to shortwave characteristics, the best listenings starts at the afternoon / night. con quel vento potete provare a fare un’antenna aquilone…ricordate il cervo volante di Guglielmino Marconi?!?!! ?